This 2,979-kilometre journey from Adelaide to Darwin and vice versa offers three days of unforgettable scenery from the bush to the outback through the vast and remote centre of Australia. This train journey is named after the Afghan cameleers who once travelled the same route, from the Adelaide Plains to the striking Top End. You have the option of leaving the train in Alice Springs for a few days so you can explore Uluru and the surrounding area as well as in Katherine in the Northern Territory where you can explore Katherine Gorge. There are a number of seat and bed options on the Ghan, from the Red Service Daynighter seat for the more budget conscious traveller right through to the Platinum Service Cabins that have double beds, an ensuite and 24-hour room service. If you want to travel in either direction from Sydney to Perth then consider the Indian Pacific which travels 4,352 kilometres over four days and three nights. This rail journey is named after the great oceans that it joins and its symbol is the wedge-tailed eagle than can often be seen soaring in the skies above. 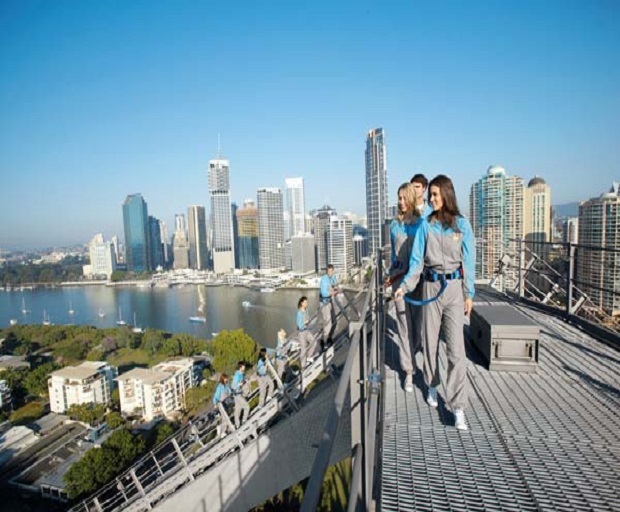 You’ll experience first-hand the incredible scenery, from the Blue Mountains in New South Wales all the way to the Avon Valley in Western Australia. The journey stops in Broken Hill, Adelaide, Cook and Kalgoorlie so consider stepping off the train to explore the dusty goldfields in Kalgoorlie or the heritage and culture in Broken Hill. The seat and bed options are the same as the Ghan so you can choose from a budget friendly seat in Red Service right through to a spacious cabin in Platinum Service. If you’re considering a trip to outback Queensland then why not jump on the Spirit of the Outback train journey from Brisbane to Longreach, a spectacular 1,325 kilometre journey over 24 hours on which you can take your car and go exploring at your destination. The train travels up through Rockhampton before heading west into the vast Outback through heritage towns of Blackwater, Emerald and Barcaldine. In Longreach explore the Qantas Founders Museum, the Australian Stockman’s Hall of Fame and the Outback Heritage Centre before heading off to experience the Outback for yourself. Passengers on the Spirit of the Outback train are accommodated in either a seat or a single, double or twin berth in economy or first class.